Krishnamaya Shahi lives in a remote village reached only by an hour-long motorbike ride and a seven-hour walk through the mountainous landscape from Jumla, western Nepal. The 26-year-old mother of three works hard with her husband on nearby farmland but the harvest doesn’t meet their basic needs. They only produce enough food for six months of the year. Three years ago INF began working in Krishnamaya’s village helping to facilitate Self-Help Groups. She joined a group and began meeting regularly with other women in the community. They discussed common concerns and ways they could work together to take action and improve the community. Krishnamaya says they gained helpful knowledge by meeting together as well as self-confidence which brought positive changes to the village. 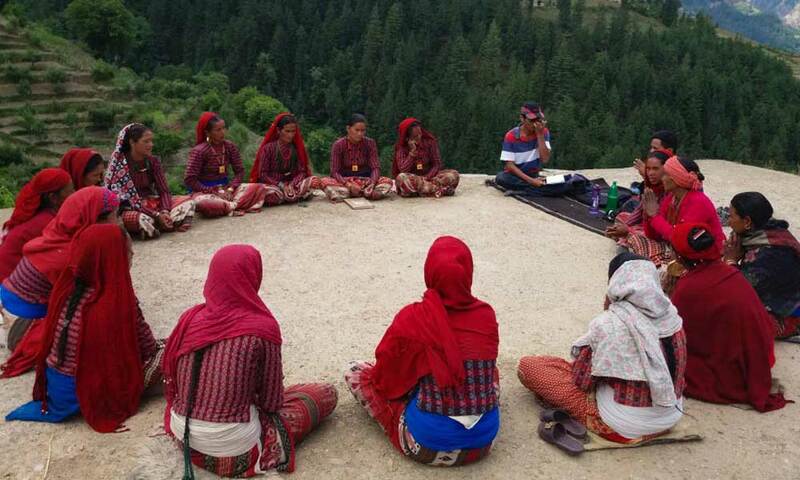 “Many problems in the village were tackled and solved,” says Krishnamaya. 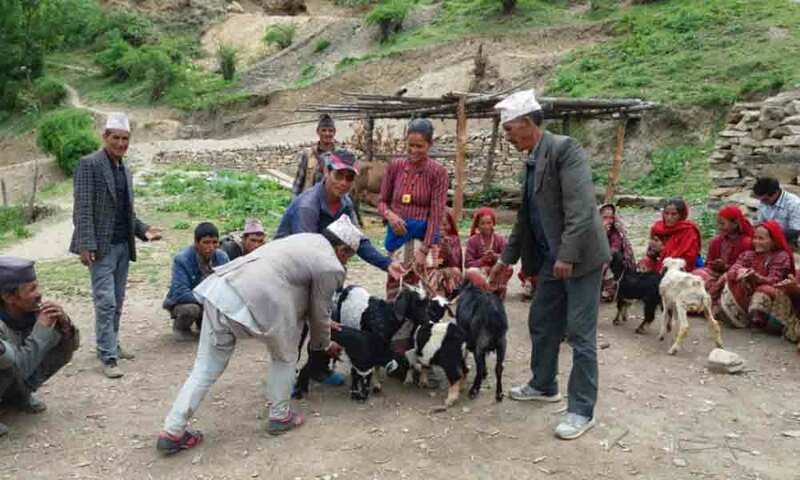 The group savings scheme enabled Krishnamaya to borrow money to purchase four goats. In addition to the financial support, she also received training in goat rearing and business skills. “The support has given me a huge amount of hope. I want to run a good and honest business, and improve my family’s economic condition,” says Krishnamaya. She says the hilly landscape surrounding her village is very suitable for goats and she is hoping to grow her business in the years to come.